Two drones. Two pilots. Three Jaguars. Game on. 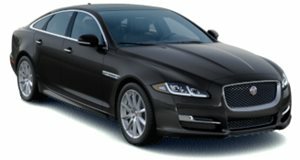 Jaguar clearly needs to promote its long-wheelbase XJ sedan, dubbed the XJL, and figured using high-speed drones would do the trick. It worked. Jaguar even called it "Game of Drones." Here’s how it went down: Jaguar brought two drones and three XJLs to an illuminated studio in order to show off the big sedans’ interior space. Of course a drone race was in order. A pair of professional drone racers piloted the high-speed drones through the cars in a studio converted into a course with 13 illuminated, door-shaped gates. These gates were shaped just like the XJL’s rear doors. The challenge was for the drones, traveling at 60 mph, to navigate their way through the gates and make their way to the sedans. To make things a bit more interesting, the two pilots were sitting in the back of the new XJR575, the newly revealed 575-hp version of the XJL. 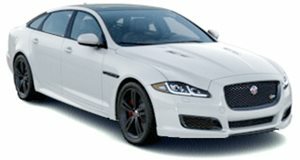 It’s no coincidence the XJR575 is offered exclusively as a long-wheelbase. "The course was a great test, but the fact we were able to go at such speeds proves how much space the doors of the Jaguar XJL gave us," said wining drone pilot Brett Collis. "Despite having to fly through the cabin, we were still pushing the drones to their top speeds." This episode of "Game of Drones" took place at Alexandria Palace in London, and Jaguar says it’s bringing a similar experience for the public (and free of charge) to additional locations, called the "Art of Performance Tour."